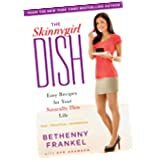 The Skinnygirl Dish: Easy Recipes for Your Naturally Thin Life by Bethenny Frankel of The Real Housewives of New York City provides recipes while also teaching the reader how to change her mind set when it comes to preparing and eating food. Divided into three parts, the first part of The Skinnygirl Dish: Easy Recipes for Your Naturally Thin Life discusses Frankel's philosophy, while the second part offers recipes for every meal of the day. The third part provides the reader with tips for dealing with the holidays and special occasions. Thanks to the substitution chart included within the book, the 60 recipes featured in the book can actually be expanded to more than 1,000 different recipes. 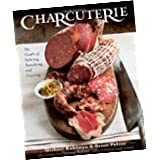 Charcuterie: The Craft of Salting, Smoking, and Curing by Michael Ruhlman and Brian Polcyn features 416 pages of recipes and tips for preparing a variety of different meats. From pork to venison, Ruhlman and Polcyn provide an in-depth exploration of preserving and preparing meat through salting, smoking and curing. In fact, Lynne Rossetto Kasper, who is the host of the radio series “The Splendid Table” said, “Never has the art of charcuterie been handled this thoroughly for the home cook” after reviewing Charcuterie: The Craft of Salting, Smoking, and Curing. Equal parts art and science, the comprehensive Charcuterie: The Craft of Salting, Smoking, and Curing explains how certain preservatives work while also exploring safety issues related to charcuterie. Helpful illustrations further help the home chef safely navigate the art of charcuterie. 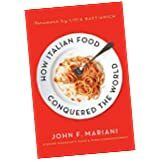 In How Italian Food Conquered the World, John Mariani explores the history of Italian food throughout the world. From Italian ice cream sold on the streets of New Orleans to a detailed exploration of Italian chefs and restaurant owners around the world, Mariani provides a comprehensive look at the impact Italian food and its culture has had on households and restaurants throughout the world. As the author of The Encyclopedia of American Food & Drink and a food correspondent with Esquire magazine, Mariani is able to draw on his vast experience in the industry to create a thorough book filled with facts as well as recipes. 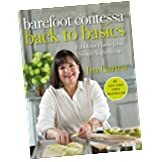 Barefoot Contessa Back to Basics: Fabulous Flavor from Simple Ingredient by Ina Garten offers nearly one hundred brand new recipes from one of the industry’s most trusted chefs. As is the case with all of her cookbooks, Garten offers more than just great recipes, but goes on to examine specific ingredients while also focusing on the techniques that serve as the foundation for her recipes. “The sixth cookbook from the Barefoot Contessa juggernaut contains exactly the kind of appealing, simple-yet-just-gourmet-enough recipes Garten devotees adore,” said an October review in Publishers Weekly. Simply put, fans of Ina Garten’s comprehensive cookbooks will likely be pleased by what they find in this latest addition to her Barefoot Contessa series. 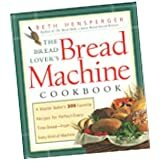 The Bread Lover’s Bread Machine Cookbook by Beth Hensperger examines the basics of bread making while also taking a closer look at using a machine to make bread. Following this introduction, the author provides more than 300 different recipes ranging from sourdoughs to a wide variety of grain breads and breads featuring nuts, fruits, cheese and other flavorings. Coffee cakes, croissants, sweet breads, flatbreads and more can also be found in the comprehensive recipe portion of the book. 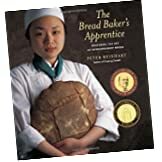 Broken into three sections, The Bread Baker’s Apprentice: Mastering the Art of Extraordinary Bread first retells the humorous story of the author’s visit to France where he furthered his baking knowledge. The second section covers bread making basics, while the third section is filled with a wide variety of bread recipes. 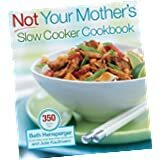 Not Your Mother’s Slow Cooker Cookbook by Beth Hensperger and Julie Kaufmann features 350 crocks pot recipes ranging from breakfast foods to tasty deserts. In addition to the typical stews and soups, recipes found in the book include those for meat, poultry and fish. In fact, according to the San Francisco Chronicle, Not Your Mother’s Slow Cooker Cookbook offers “A wide range of sound recipes and advice for every meal.” The San Francisco Chronicle goes on to say the book offers “A comprehensive and multicultural guide back to slow food.” The book also includes a “Not-from-the-Slow-Cooker Accompaniments” chapter, which provides recipes for tasty side dishes that do not involve using a crock pot. 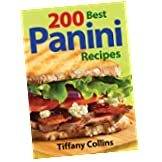 In short, 200 Best Panini Recipes provides a seemingly endless supply of great recipes that help home chefs recreate the bistro experience wherever they go. 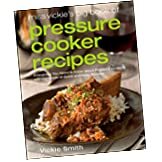 Just as the title implies, Miss Vickie’s Big Book of Pressure Cooker Recipes offers 480 pages of recipes specifically meant to be cooked with a pressure cooker. In addition to the numerous recipes, which includes everything from appetizers to desserts, Miss Vickie’s Big Book of Pressure Cooker Recipes explores the history of the pressure cooker as well as the many benefits these cooking instruments provide. 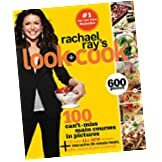 Rachel Ray’s Look + Cook also highlights certain ingredients and explores cooking techniques that are meant to help anyone become a whiz in the kitchen.